MIT has moved its blockchain research from the theoretical to the real world with a project announced earlier this week with Ripple. The US and China are preparing to enter a new, dangerous phase in their strained economic relationship, and in Washington, politicians are preparing for battle. On Monday, the ranking member of the Senate Finance Committee, Sen. Ron Wyden (D-Ore.) fired the first warning shot. In a statement, he accused China of distorting the commodities markets by flooding the market with goods, suppressing price. "Over the past few decades, China has used market-distorting subsidies and industrial policies to prop up their own industries and rip off American jobs," said Wyden's statement. "Steel, tires, solar panels – the same story plays out over and over again. Too often, China’s economy is not run by the markets — it’s run by government committee. So even though its own State Council has called out the problem of 'severe excess capacities,' China clings to the same old, destructive policies." Wyden's right, China has just begun to flood global markets with a glut of certain commodities (specifically steel and aluminum for now) that built up during the country's investment growth surge. This process is only going to expand to other commodities over time, and it's unclear when it will be over. The thing is, what makes this is a complicated issue is that China doesn't really have a choice in this matter. In fact, if it wants to become an economy that is actually driven by market factors rather than government planning, it has to sell all of this extra stuff it has lying around that it seems the world is no longer interested in. This, ladies and gentlemen, is the making of a good old fashion economic showdown. No one tell Donald Trump. China is trying to move its economy from one based on investment, to one based on domestic consumption. That means old growth drivers in the country's economy have to die. Unfortunately these drivers — mostly in manufacturing and commodities-based industries that have built up a lot of debt and supply since China's slow down started in earnest — have fewer places to be sold. Of course, that doesn't mean China has turned off the machine. We're talking about massive industries employing millions of people that have to be wound down. 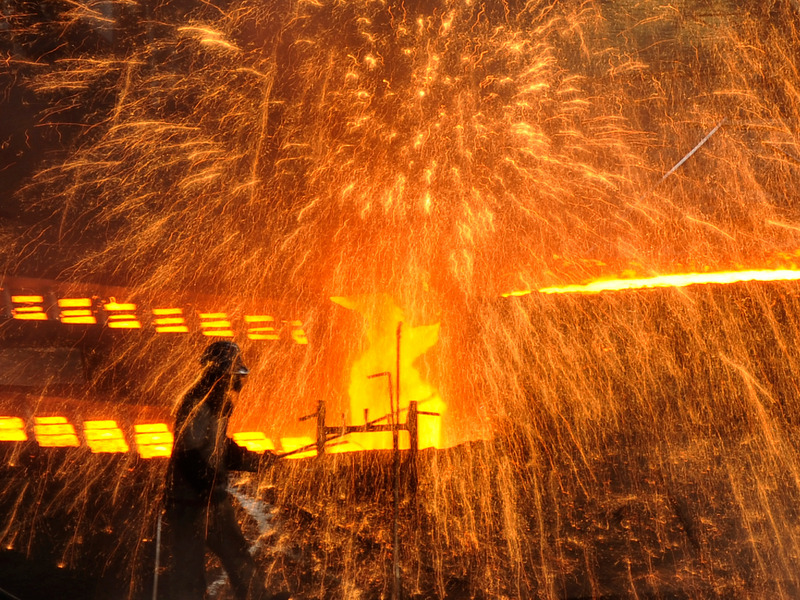 Reuters reports that 5-6 million Chinese people could be fired from coal and steel industries over the next few years. People out of work is bad for the consumption-based model China is trying to build, and the slow down happened faster than Chinese officials expected. So now, as they try to figure out how to shrink these industries as gently as possible, they're also firing them on all cylinders. Aluminum is a great example of this. Check out this chart from Citi showing how production dropped off in early 2016, then ramped up again. As Citi pointed out, this is the reversal of an agreed upon production cut. Now, the bank expects China to have a surplus of aluminum in 2016. Some of that will feed the beast that is China's property market, which is also ramping up again to keep the economy going. But part of that will also head out to the rest of the world. 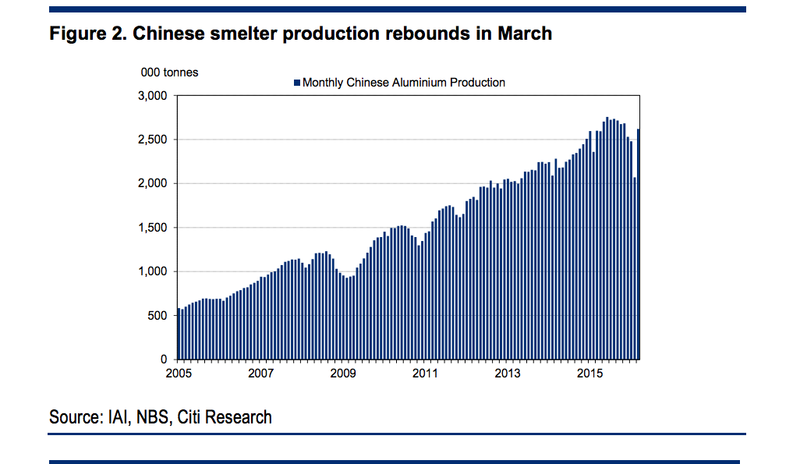 "Chinese aluminum exports surged in March to 420kt, up 17% yoy and 50% mom, as restarts occurred," Citi analysts wrote. Steel has a similar story. Prices have rallied from 2015 lows, mostly on a revival of China's bubbly property market where sales of commercial and residential (excluding affordable housing) surged 60% from this time last year. Prices in first- and second-tier cities are surging. That usually leads a construction boom. Conversely, other sectors where steel is used are just seeing 'meh' demand. "Among the six end-use sectors for domestic steel demand, both property construction and infrastructure saw steel demand continue to improve significantly in April, with the former approaching previous peaks in April 2014 and August 2013 and the latter significantly higher than previous peaks," wrote analysts at Macquarie in a recent note. "The other four sectors, which are mostly flat steel product consumers, were however much calmer, with white goods and autos orders dropping moderately, while demand from shipping and machinery improved only slightly." You can see this also in the fact that export demand, has ticked up much less than domestic demand, Meanwhile steel prices are still low. For better or for worse, politicians around the world are starting to pick up on this issue. In the UK politicians railed against Tata Steel when it rejected a reconstruction plan that would've stopped it from being sold abroad. In the US, United Steel has said that it will lay off a quarter of its non-union workforce due to "depressed steel prices and unfairly traded imports." That is why Wyden wrote his letter. "In my judgment, the U.S. is badly in need of a safeguard against this economic tidal wave. That’s why I’m standing in lockstep with my friend Leo Gerard and the United Steelworkers, who today filed a petition for relief under Section 201 of the Trade Act of 1974. Without an immediate economic balm, the U.S. is in danger of losing thousands of good, family-wage jobs across the country," it said. And you know how the US needs its good paying jobs these days. Both sides have a lot to lose here, and this going to get worse before it gets better. Over the past few decades, China has used market-distorting subsidies and industrial policies to prop up their own industries and rip off American jobs. Steel, tires, solar panels – the same story plays out over and over again. Too often, China’s economy is not run by the markets -- it’s run by government committee. So even though its own State Council has called out the problem of “severe excess capacities,” China clings to the same old, destructive policies. And today I want to address what’s happening now with China’s huge overcapacity of aluminum. The amount of aluminum Chinese smelters are churning out has gone up by more than 1,200 percent in a decade and a half. In 2000 they produced 2.5 million metric tons. In 2015, China produced 32 million metric tons. When you create a glut of aluminum production the way China has, you send the markets into turmoil and do enormous harm to workers in the U.S. I spoke last week at a public hearing held by the U.S. Trade Representative and the International Trade Commission about how the overproduction of steel in China is an urgent threat to steel jobs here in America. While China’s steel mills are churning out more steel than ever, American steel towns are suffering or worse. Thousands of jobs nationwide have been lost just in the last year. Even though one third of all steel produced today has no buyer, China continues adding to the glut by producing more steel. The same story is playing out in the case of primary aluminum: there’s a huge overcapacity in China driven by market distorting government policies. And it unleashes a chain of events that ends in economic devastation across this country. Global aluminum prices have plummeted, undercutting American firms. Between the start of 2011 and this upcoming June, the lights will have gone out at nearly two thirds of the aluminum smelters in the U.S. More than 6,500 jobs will have been lost. And you can bet that sooner or later, the damage will ripple downstream through the entire aluminum industry, which employs nearly three quarters of a million Americans either directly or indirectly. In my judgment, the U.S. is badly in need of a safeguard against this economic tidal wave. That’s why I’m standing in lockstep with my friend Leo Gerard and the United Steelworkers, who today filed a petition for relief under Section 201 of the Trade Act of 1974. Without an immediate economic balm, the U.S. is in danger of losing thousands of good, family-wage jobs across the country. It’s my view that the administration should act in this case as soon as possible to defend our workers and businesses from economic ruin. The U.S. and our trading partners must ramp up the pressure on China to stop overproduction. And our trade enforcers must take on the trade cheats using every tool in the box – including the ENFORCE Act, the Leveling the Playing Field Act, and the other measures my colleagues and I on the Finance Committee fought to get signed into law over the last year. The post Bitcoin Exchange ShapeShift Hacks See $230,000 Lost in a Month appeared first on CCN: Financial Bitcoin & Cryptocurrency News. The post Bitcoin Lending Platform BitConnect.co Releases Innovative “My Page” Feature appeared first on CCN: Financial Bitcoin & Cryptocurrency News. This story was delivered to BI Intelligence "Payments Industry Insider" subscribers. To learn more and subscribe, please click here. We're one step closer to real-time bill payment. The Clearing House (TCH) has announced a plan to partner with fintech services company FIS to create a pilot that would facilitate real-time bill payments through FIS' partner banks. The two companies are targeting the first quarter of 2017 for the pilot, which is likely part of TCH's plan to implement a standard real-time processing platform for most, if not all, U.S. banks. FIS and TCH are two companies at the head of the pack in the U.S. Faster Payments initiative. Both firms are part of the 19 members of the Fed's Faster Payments Task Force, so this pilot could bring more attention to that program. This partnership could also spread real-time payments to banks, which are on pace to match the Fed and the Electronic Payments Association's (NACHA) Faster Payments Deadline. Real-time Automated Clearing House (ACH) settlement is currently scheduled to start in late September. New data from NACHA indicates that 95% of major banks will start offering clients same-day ACH by the end of the year, and many more intend to offer bill pay and peer-to-peer (P2P) transfers. The FIS and TCH pilot should spur the implementation of more services than just ACH transfer settlement. This would be music to the ears of consumers, who are increasingly shifting toward mobile bill pay thanks to the convenience it provides. In fact, visits to biller websites on mobile grew 42% in the last year, according to Fiserv. This has led billers to add more payment options on mobile devices, and real-time bill pay would be the next logical step. The arrival of real-time payments processing is yet another example of the ongoing and increasing fintech disruption in our world. We’ve entered the most profound era of change for financial services companies since the 1970s brought us index mutual funds, discount brokers and ATMs. Traditional Asset Managers vs. Robo-Advisors: Robo-advisors like Betterment offer lower fees, lower minimums and solid returns to investors, but the much larger traditional asset managers are creating their own robo-products while providing the kind of handholding that high net worth clients are willing to pay handsomely for. As you can see, this very fluid environment is creating winners and losers before your eyes…and it’s also creating the potential for new cost savings or growth opportunities for both you and your company. Why financial technology is so disruptive to financial services—it will soon change the nature of almost every financial activity, from banking to payments to wealth management. The basic conflict will be between old firms and new—startups are re-imagining financial services processes from top to bottom, while incumbent financial services firms are trying to keep up with new products of their own. Both sides face serious obstacles—traditional banks and financial services firms are investing heavily in innovation, but leveraging their investments is difficult with so much invested in legacy systems and profit centers. Meanwhile, startups are struggling to navigate a rapidly-changing regulatory landscape and must scale up quickly with limited resources. The blockchain is a wild card that could completely overhaul financial services. Both major banks and startups around the world are exploring the technology behind the blockchain, which stores and records Bitcoin transactions. This technology could lower the cost of many financial activities to near-zero and could wipe away many traditional banking activities completely. Explains the main growth drivers of the exploding fintech ecosystem. Frames the challenges and opportunities faced by incumbents and startups. Breaks down global and regional fintech investments, including which regions are the most significant and which are poised for the highest growth. Explains why blockchain technology is critically important to banks and startups, and assesses which players stand to gain the most from it. Explores the financial sectors facing disruption and breaks them down in terms of investments, vulnerabilities and growth opportunities. The choice is yours. But however you decide to acquire this report, you’ve given yourself a powerful advantage in your understanding of the fast-moving world of financial technology. In business, a company's bottom line — and most important measurement of success — has traditionally been its profit. But following a zeitgeist shift that self-described "serial and social entrepreneur" Jason Haber calls "The Great Convergence," the bottom line is getting a face lift. Historically, Haber explains in his book "The Business of Good: Social Entrepreneurship and the New Bottom Line," "capitalism has driven innovation and change on a monumental level. ... [But] its focus has been on profits." So what happens, he asks, when the world's problems call for a solution that isn't entirely profit-driven and our governments are crippled by debt, unable to help? The answer, it seems, is social enterprise. "Social entrepreneurs have a triple bottom line to consider: people, planet, and profit," Haber writes. Haber points to companies like TOMS, Warby Parker, Global Poverty Project, and d.light as examples; companies that have identified a larger purpose or problem, and use traditional business tools to build a scalable solution that impacts the world at large. "Social entrepreneurship is a model that is changing the world," he says. "It aims to fix the most entrenched problems facing mankind while building successful and profitable business for its owners ... 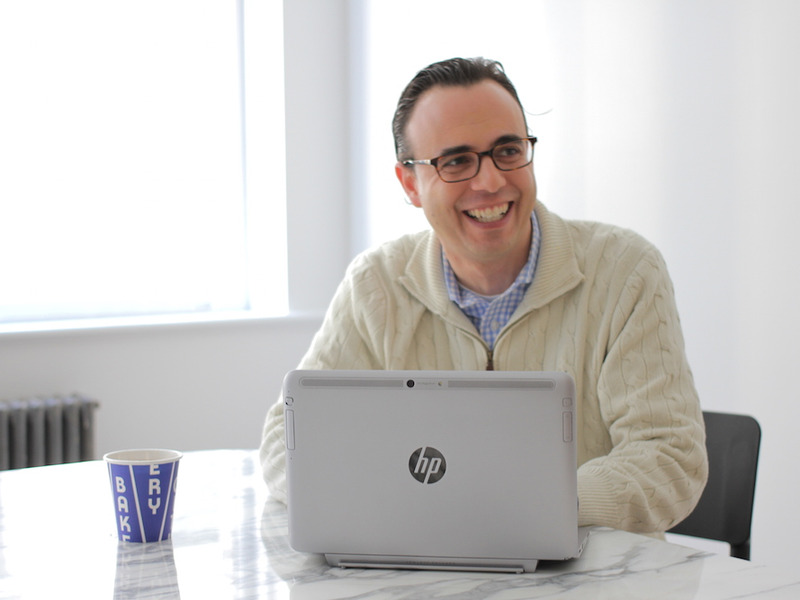 It relies on technology and social media to thrive." And Haber says this seismic shift in business is led by millennials, who currently comprise the largest segment of the US workforce. Millennials, who Haber refers to as Generation Now, have lived through the last three decades of turmoil and technological advancement. They've come out of this era possessing six distinguishing qualities —including a craving for collaboration and constant access to technology — that reveal why they're well-positioned to create companies that value both profit and purpose. "Unlike previous generations, whose pursuits of money and excess are well documented, millennials have far different goals," Haber says. "It's no longer simply about making money now." The post Bitcoin Price Analysis: Looking Bullish But Bias Bearish appeared first on CCN: Financial Bitcoin & Cryptocurrency News. The post Airbnb Hire of ChangeTip Staff Sparks New Interest in Bitcoin and Blockchain for IoT appeared first on Bitcoin Magazine. The post Greg Maxwell: Lightning Network Better Than Sidechains for Scaling Bitcoin appeared first on Bitcoin Magazine. The post Bitcoin Miners and Industry Meet in Beijing appeared first on CCN: Financial Bitcoin & Cryptocurrency News. The post Successful Banking Blockchain Test Shows Core Banking Possibilities appeared first on CCN: Financial Bitcoin & Cryptocurrency News. The post Why 21 Inc.’s Balaji Srinivasan Pays Close Attention To Blockchain Consortiums appeared first on CCN: Financial Bitcoin & Cryptocurrency News. The post This Investor Is In Bitcoin and Blockchain for the Long Haul appeared first on CCN: Financial Bitcoin & Cryptocurrency News. The World Economic Forum is calling for governments, established finance players, and fintech (financial technology) startups to band together and draw up more rules and regulations to stop the wave of new fintech players becoming a systematic risk to economies. In a report co-authored by consultancy Oliver Wyman, the Davos organiser says: "As legacy business models and long-held value propositions in financial services are reshaped by these new ideas, key actors in the system must work to ensure economic growth does not come at the expense of systemic stability." 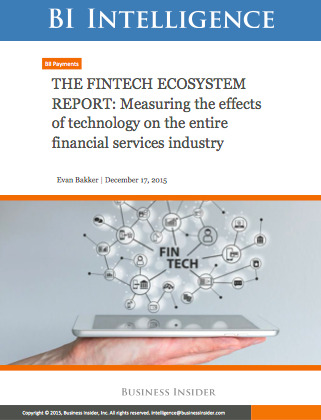 The report, titled "Understanding the impact of technology-enabled innovation on financial stability", says that: "The financial sector is at an inflection point", with nimble fintech startups "disintermediating" the jobs traditionally done by big banks. In other words, finance is moving from being a bunch of one-stop-shops where you can get your mortgage but also trade shares and take a pension, to a bunch of specialised players that can focus on one area thanks to the lower overheads allowed by technology. Use of technology in finance is not new, nor are many of the products and services that are offered by new entrants to the sector. Rather, it is the novel application of technology and its speed of evolution that make the current wave of innovation unlike any we have seen before in financial services. WEF and Oliver Wyman identify six big advantages to fintech: increased access to financial services through things like your smartphone, lower cost, improved risk management, diversification of risk, increased collaboration, and increased competition. But the report warns that "technology-enabled innovations bring a new set of risks to the financial system, both conduct and prudential, and has implications for human capital (e.g. increased automation leading to fewer employees)." Alternative lending: The report warns that consumers could face big losses from things like peer-to-peer lenders, which lets people lend their money directly to businesses and people. "Even if alternative sources of credit are monitored appropriately, many actually shift risk to the end consumer – which has the potential for sizeable losses to be directly incurred by average investors who may not understand the product or its associated risks." Market electronification: The report says that high-frequency trading, dark pools, and the use of alternative trading platforms "remains an area of intense scrutiny." Data security: "As businesses increase their reliance on technology and continue to amass larger stores of data, it becomes increasingly important (and difficult) to ensure resilient systems are in place to safeguard information." Misconduct: "While technology-enabled innovation has the potential to support oversight functions in monitoring employee activities, it may simultaneously act as an amplifier of illicit actions that have evaded detection (e.g. predatory algorithmic trading activity). Moreover, heightened shareholder expectations and intense competition may incent the mainstreaming of new technology-enabled innovations before the requisite control environment for risk and compliance is in place." Payment effectiveness: New methods of sending money, such as using the rails of bitcoin or other distributed ledger technology, "may actually impact effectiveness of monetary policy and transmission mechanisms." Regulatory arbitrage: "In many instances, the pathway to compliance when deploying a new type of innovation is unclear. Furthermore, the regulatory remit is often not consistently defined across countries and is based on a company’s legal entity designation vs the financial activities that it engages in. This rigid definition of the regulatory remit allows for some businesses to fall through the supervisory cracks, reduces portability of business models and stifles innovation." Adair Turner, the former Chairman of the Financial Services Authority, issued a similar warning to the WEF's on peer-to-peer lending, saying in February: "The losses which will emerge from peer-to-peer lending over the next five to 10 years will make the bankers look like lending geniuses." However Samir Desai, CEO of peer-to-peer small business lender Funding Circle, has defended the industry, telling the AltFi Europe conference: "I don't agree with some of the credit assessment stuff and I think many platforms have invited Lord Turner in to view our processes, reassure him, because I think it is important that we tackle this criticism head-on rather than just shout him down." 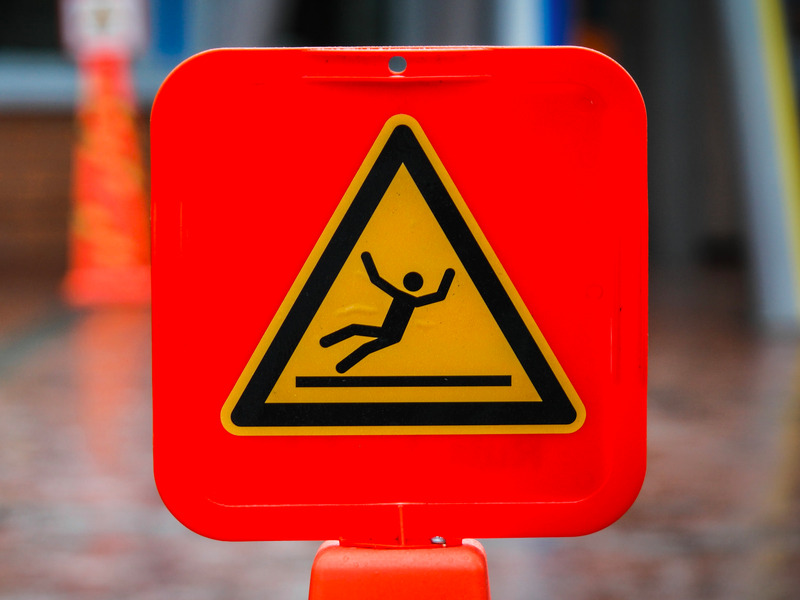 The WEF and Oliver Wyman have four key recommendations for stopping fintech in all its guises transforming into a systematic risk. They are: a debate on the ethical use of data; setting up a global public-private forum for discussion of technological innovation in finance; international standards for monitoring fintech startups; and setting up a private sector standards body that enforces good conduct at new players in the market. You can read the full WEF and Oliver Wyman report here. The post Ion, a new coin designed around mobile gaming launches Initial Coin Offering appeared first on CCN: Financial Bitcoin & Cryptocurrency News. UK-based cross-border transfer firm TransferWise announced its Canadian launch on Friday. TransferWise works to undercut traditional banks and wire transfer services through a peer-to-peer (P2P) model. For context, the firm now operates globally and processes transactions across 500 currency routes. Since its 2015 US launch, TransferWise has processed over $2 billion in US dollar-based transactions and saved US customers over $50 million in bank fees in 2015 alone. The company could see success in Canada, which could bolster its bottom line. 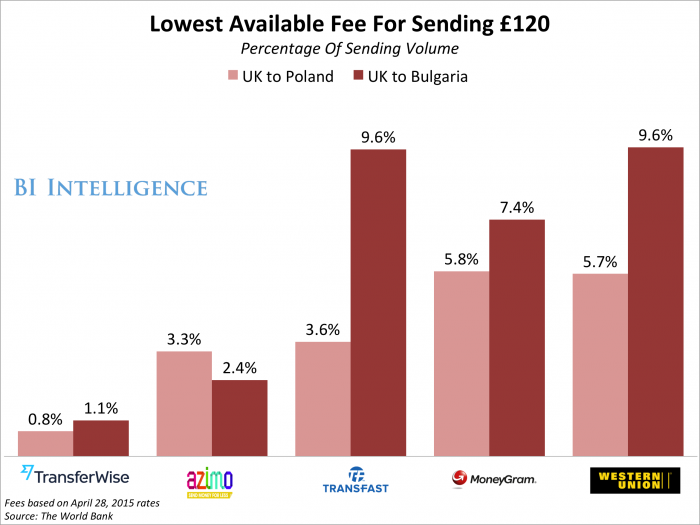 TransferWise is an early mover in a market with demand for inexpensive cross-border transfer services. 3 million Canadians live abroad and 7 million foreign adults live in Canada, according to the firm. TransferWise, which is reportedly the first P2P cross-border firm to launch in Canada, is offering just a 1.2% per-transaction fee, up to five times lower than that offered by Canadian banks. That will give TransferWise an important new revenue source. The company registered a net loss in the year ending March 31, 2015, but its revenue of $13.9 million was over five times higher than its revenue from the same period in the prior year, indicating a strong upward trend. A strong Canadian market could help the firm continue to accelerate growth. The success of TransferWise is just one indication that we’ve entered the most profound era of change for financial services companies since the 1970s brought us index mutual funds, discount brokers and ATMs. The arrival of the age of fintech is about to shake up the financial services world as we know it. Traditional powerhouses are already trying to figure out ways to co-exist with startups that are disrupting aging models. 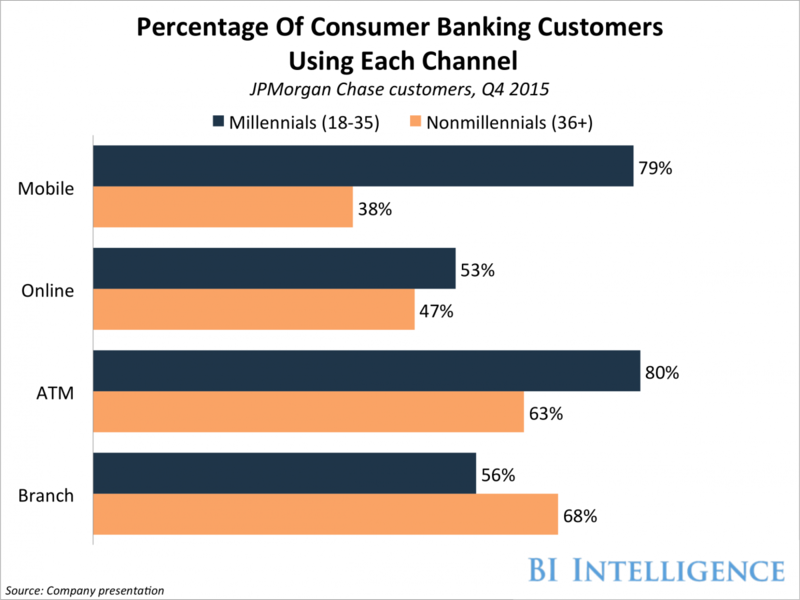 Look no further than the rise of mobile and digital banking and the declining relevance of brick-and-mortar banks, particularly among millennials, for evidence of that fact. But it's not just banks that are trying to conquer the fintech space. Amazon is about to try its hand in this market, as the e-commerce giant's head of payments, Patrick Gauthier, recently announced that the company is considering making some fintech acquisitions as valuations in the space start to decline and fintech becomes a more affordable investment. This would be a logical progression for Amazon, which already has a significant and active user base. Amazon has been experiencing increased growth tied to payments, as its payments unit has 23 million active users and has recorded 200% year-over-year growth in merchants adding the "Pay with Amazon" buy button to their online stores. There is also precedent for Amazon to make such a move. Chinese e-commerce giant Alipay has more than 450 million monthly active users and has more than 50% of the online payments market in China. So Amazon could be on the path to building up a similar type of momentum with its own customers. Fintech acquisitions would also make Amazon more competitive with other checkout services such as Apple Pay and Visa Checkout. 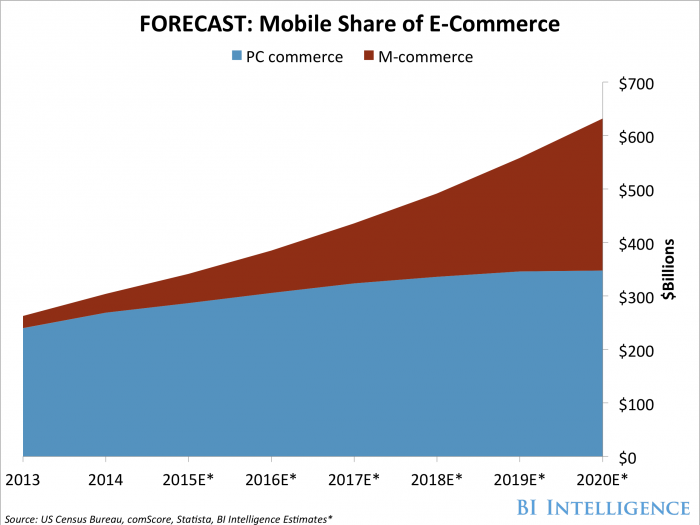 This could be crucial in the next few years, as BI Intelligence, Business Insider's premium research service, forecasts that mobile commerce will make up 45% of all U.S. e-commerce retail sales by 2020. As we watch Amazon's plan unfold, it's clear that no firm will be immune from the coming disruption and every company must have a strategy to harness the powerful advantages of the new fintech revolution. Lael Brainard, a member of the US Federal Reserve’s Board of Governors, discussed the potential of blockchain in the financial industry in a recent speech to the Institute of International Finance Blockchain Roundtable, according to CoinDesk. Brainard discussed the efficiency potential of blockchain as well as the challenges it could pose to a notoriously restricted and private industry. For context, financial institutions are researching blockchain because of its potential to automate transaction processes and eliminate middlemen, which could increase efficiency and cut industry costs by up to $20 billion annually by 2022. But as blockchain simulations and pilots are becoming more popular, regulation is becoming a key concern. Blockchain firms fear that inconsistent guidelines could make interoperability and mainstream adoption challenging. The US Fed is optimistic about blockchain. Brainard noted that the Fed is continuing to engage stakeholders and colleagues on issues facing blockchain development. Overall, she emphasized that the Fed’s position was similar to that of other regulatory institutions: to allow innovation without risk to consumers or overall financial stability. That’s likely a relief to international blockchain groups, which are beginning to prepare for regulation. Recently, four of the world’s leading blockchain trade organizations from Australia, Singapore, the UK, and the US united to form the Global Blockchain Forum, which will work to build common best practices and consistent policy. These organizations could help the Fed and other regulatory bodies shape blockchain and digital currency regulation. The blockchain is just one reason that we’ve entered the most profound era of change for financial services companies since the 1970s brought us index mutual funds, discount brokers and ATMs. The post South African Startup Raises Funding to Fight Digital Media Piracy With Bitcoin appeared first on Bitcoin Magazine.